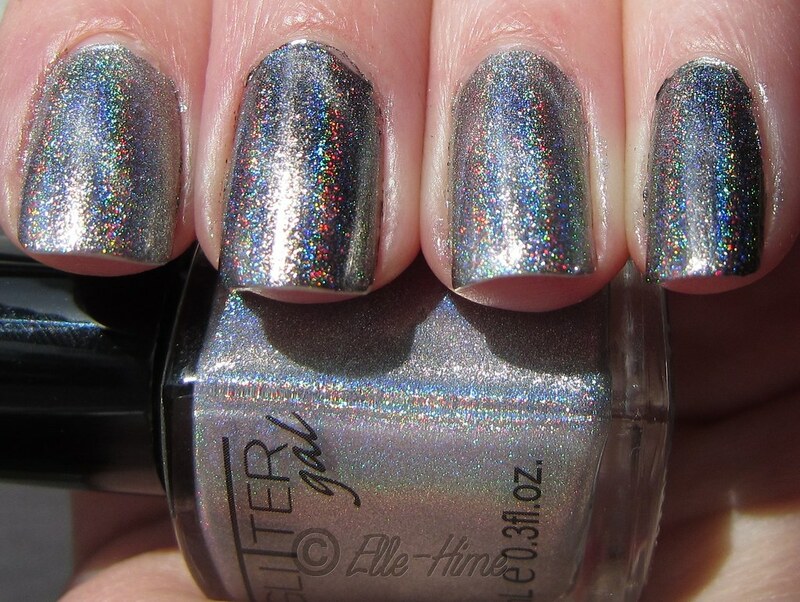 Princessly Polished: Holographic Magnetic Nails! 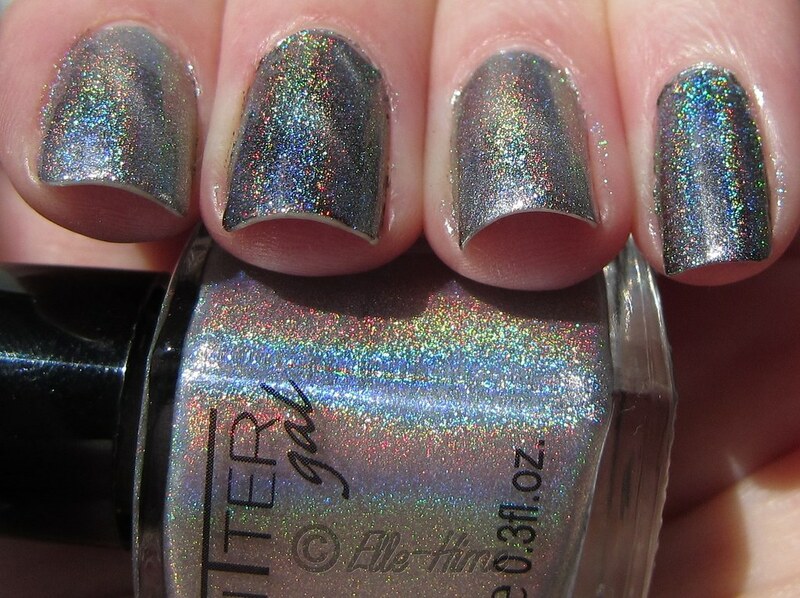 This is a layering experiment I tried with magnetics and linear holographic polishes. Started out with black and silver nails with diagonal magnet designs and put a coat of Glitter Gal silver polish Turbulence over them! Check out all the pictures to see the results! So basically, both effects are always visible to some extent. All of my photos were taken without flash. The stronger the sun/light, the more you'll notice the holographic rainbow. 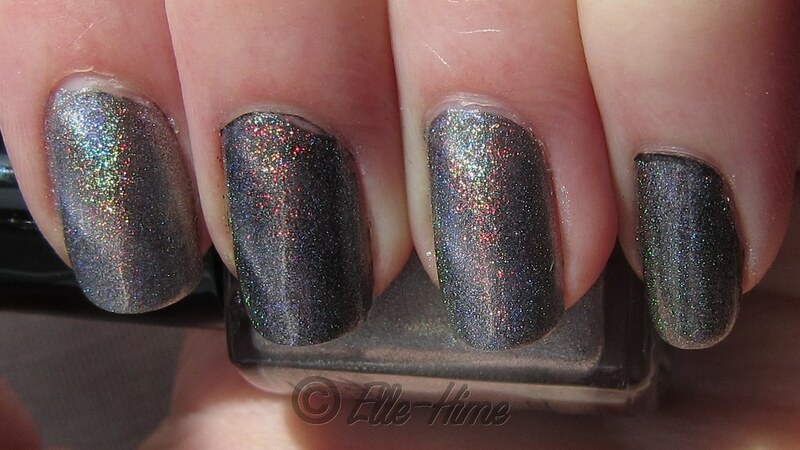 In dim light the polish appears more dusty but you will see the magnetic lines running through it! 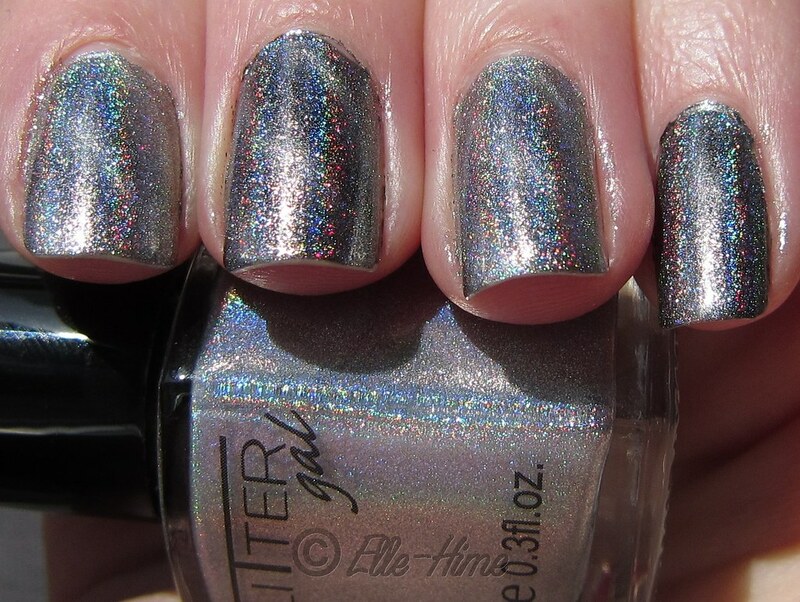 very pretty mani, kinda hard to tell the magnetic effect from the photos, but still a very pretty mani nevertheless! I know what you mean, sorry about that but it wanted to stay hidden! Thanks!